TCL’s 55R617 55″ 4K Ultra HD Roku Smart LED TV is a great addition to any home theater, without sacrificing quality, and it’s being offered for just $584.99 shipped, today only, originally $799.99. The 6-Series 4K TCL Roku TV features Dolby Vision HDR imaging combined with striking wide color powered by TCL’s NBP Photon technology. Thousands of streaming channels are accessible through a simple, intuitive interface in a bold, brushed metal design. Dolby Vision delivers greater brightness and contrast, as well as a fuller palette of rich colors. TCL’s Contrast Control Zone technology individually optimizes the image across up to 120 zones to yield striking contrast between light and dark areas. Product page. Continue reading for another hands-on video preview and more information. The Nebula Capsule Smart Mini Projector is basically a smart cinema that you can enjoy anytime, anywhere, and it’s being offered for just $248 shipped, today only, originally $349. Using Android 7.1 it plays content from your favorite video streaming app or mirrors your phone’s display to create a remarkably detailed picture up to 100″. Stunning image quality is complemented by a class-leading 360° speaker to deliver heart-pounding sound, anywhere you sit. It delivers up to 4-hours of continuous playtime on a single charge, while Quick Charge technology enables Capsule to recharge faster and charge while in use. Product page. Continue reading for another hands-on video, more pictures and information. Created by industrial designer Jang Junyoung, this transparent OLED display was designed to blend perfectly into its surroundings. Its minimalistic design keeps things simple, while the circuitry is concealed within the television’s stand to ensure that things don’t ever get too jumbled. Continue reading for another video, more pictures and information. 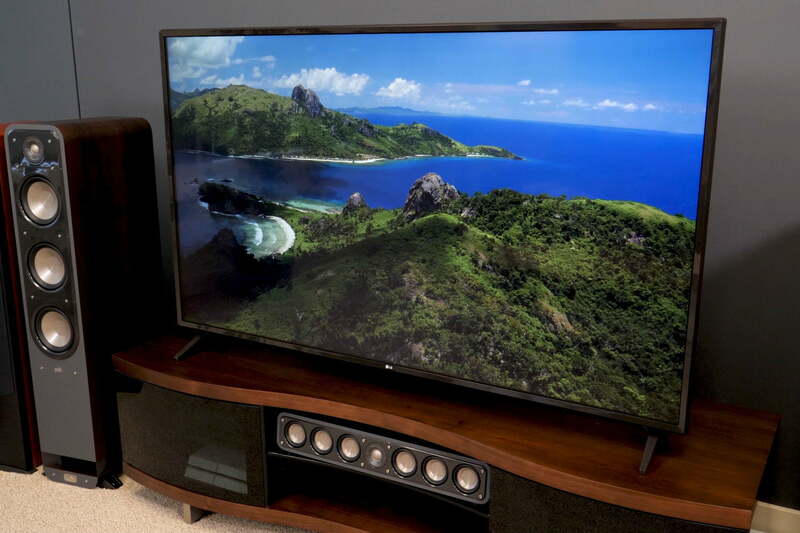 Available in 144″ or 201″ models, the C Seed Supermarine is the world’s largest outdoor TV. Not just limited to your home, you’ll also be able to set it up on the deck of a superyacht or boat as part of a high-end theater system, complete with a Dolby surround audio system. The sets utilize a series of LED panels paired with a hydraulic drive system to take up just 31 inches of space below deck when not in use. Continue reading for another video and more information. Amazon’s Fire TV Stick comes with Alexa Voice Remote to find the best way to watch across more than 190 channels and apps with universal search, all for $24.99 shipped for Prime members (get a free 30-day trial), today only, originally $39.99. With the fastest Wi-Fi and most accurate voice search of any streaming media stick, shows and movies start faster and stream smoother than ever. Directly access millions of websites such as YouTube, Facebook, and Reddit with browsers like Silk and Firefox. Product page. Continue reading for a hands-on video review and more information. LG’s 65UJ6300 65″ 4K Ultra HD Smart TV is built for optimal streaming performance, and it’s being offered for just $689.90 shipped, today only, originally $1399.99. The webOS 3.5 Smart TV interface brings together all of the most popular streaming video apps, including Netflix, brought to life in 4K, HDR or enhanced with HDR Effect. Get 100 free IP channels including Got Talent Global, Outside TV Shorts, Just for Laughs, and more integrated right into the television. Product page. Continue reading for another hands-on video and more information. There’s pico projectors, and then Sony’s 4K Ultra Short Throw Projector (LSPX-A1). At $30K, this high-end device features six speakers that simulate 360° atmospheric sound, two glass feet that double as tweeters, thanks to built-in actuators, and last, but not least, a subwoofer concealed underneath. The projector is capable of projecting a 120″ 4K image from a mere 9.6-inches away from a wall. “With the engineered marble top, half mirror finished aluminum frame, and wooden shelf, the LSPX-A1 enriches your living environment while complementing its décor. The premium furniture-like design blends into your living space and appears as an attractive piece of furniture rather than a component-heavy entertainment system,” according to Sony. Continue reading for a hands-on video and more information. VIZIO displays are known for their value as well as performance, and their latest SmartCast M-Series (2017) is definitely no slouch, touted as the ‘most colorful M-Series ever’. We recently got the chance to review the M50-E1, a 50″ panel that can not only display HDR (High Dynamic Range) content, but has Google Chromecast built-in, along with Google Home compatibility. For example, you’ll be able to send Netflix content directly from your phone using this feature, while an onscreen menu, called Smartcast TV, enables users to launch apps using the standard on-screen approach. Best of all, you can pick one up for $499 for Black Friday here now. Continue reading for our full review of the display, which was generously provided to us for free by VIZIO. Roku’s Streaming Stick+ 4K Ultra HD Streaming Player w/HDR is great for those who want on-demand programming at their fingertips, and it’s being offered for just $48 shipped, today only, originally $69.99. Whether you’re streaming in your home or hotel, the advanced wireless receiver gives you 4X the range and a stronger signal for streaming. Stream in brilliant 4K, HDR and HD. Experience the visual rush of 4K and vibrant HDR picture quality with the new powerful and portable Roku Streaming Stick+. Product page. Continue reading for a hands-on video review and more information. The TCL 43S405 43″ 4K Ultra HD Roku Smart LED TV is a great addition to any home theater system, and it’s being offered for just $299.99 shipped, today only, originally $379.99. The simple, intuitive interface gives you easy access to over 4,000 streaming channels, cable TV, gaming consoles, and other devices. No more flipping through inputs or complicated menus – all your favorites are at your fingertips. The super-simple Roku TV remote has only 20 buttons to make navigating easier. With around half the buttons of a traditional TV remote, you won’t have to struggle to find the button you need. Product page. Continue reading for an unboxing video and more information.